One Niihau shell lei can run from a hundred dollars up to tens of thousands of dollars depending on the shell type, color and design. While some shells and shell colors are more common and easy to find, there are other varieties that are extremely rare and a lei that includes these particular shells will jump in price significantly. What most people don’t realize is that 80% of the shells in a “Niihau shell lei” needs to be from Niihau shores. Although these shells can actually be found on all shores of the Hawaiian Islands, they are most prevalent on Niihau due to the lack of red dirt erosion from the plantation days. In fact, each island will have specific shells and colors that appear with each swell due to various shell beds in the ocean. 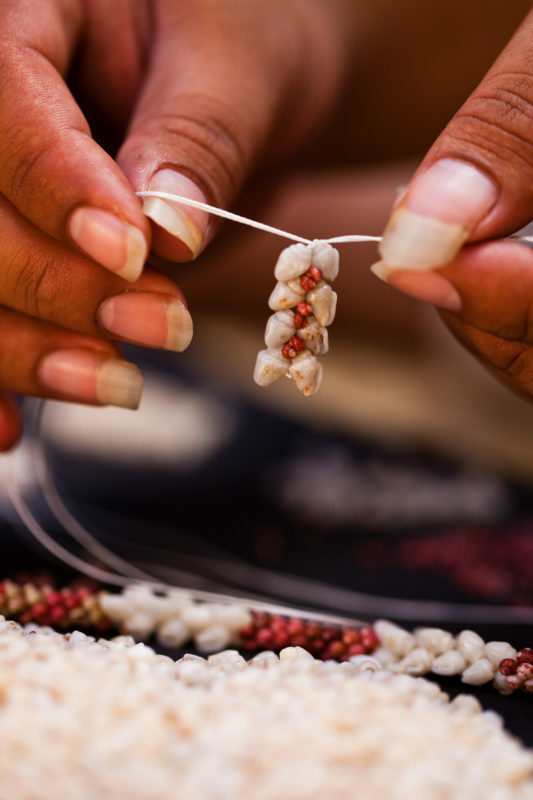 The term “Niihau shell lei” and its 80% rule came into use by the government so that marketing “Niihau shell lei” would directly benefit the people of Niihau and give them a steady stream of income. This certainly does not diminish the quality or the price of these beautiful shell leis since they are still handpicked from shores one by one, painstakingly made by hand and may possibly incorporate even more variety in colors and shells from the other Hawaiian Islands. Local singer Kuana Torres Kahele addresses the Niihau shell lei perfectly. He has been a powerful worldwide influence and ambassador for the shell leis ever since his interest in these intricate leis began. Check out his beautiful song dedicated to the Niihau shell lei. There are over a dozen types of shells that are used in Niihau shell leis, but the most common types that people will recognize are the kahelelani, momi, laiki and kamoa. In general, the shells used in these leis are very small, making it difficult to work with. Most of the shells are about the size of a fourth of your smallest fingernail. 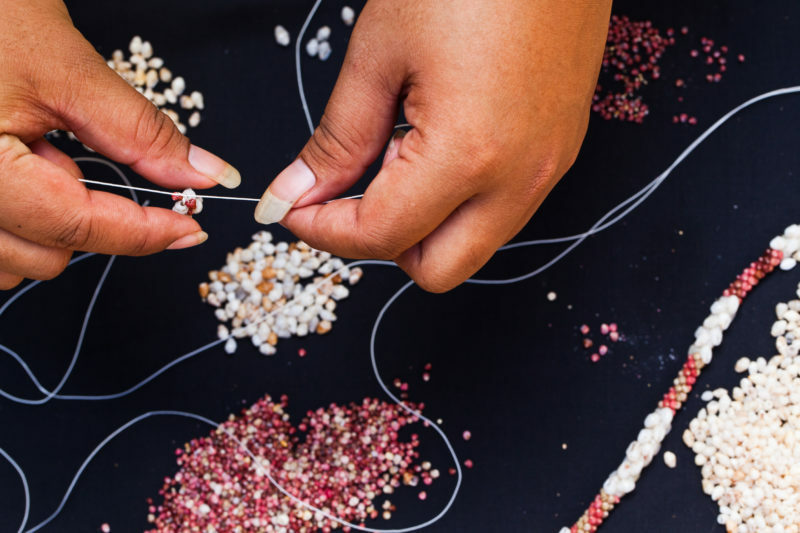 Although it may sound like painfully slow work for most of us, Niihau artisans who have trained and practiced the art for several years let their fingers fly when making these special leis. Local Hint: As in most rare item markets, you will always run into the situation of those not selling authentic items. These days it seems you can find Niihau shell leis in a variety of platforms including Ebay and even Etsy. While these are possibly authentic, you can never really be sure if the shells themselves came from Niihau. Check here for a great list from the Niihau Cultural Heritage Foundation on reputable sellers who have a long-standing relationship with Niihau families. The Forbidden Island is difficult to access (you have to be invited over), but you can tour it by boat on a snorkel cruise from Kauai. There’s also a small group of monk seals here that tend to be curious with visitors so if you’re lucky, you may spot them!